An exciting new episode of the Star Trek series “Continuing Mission” is set to be released on May 10 this year which promises to deliver something unique to the franchise. Star Trek The Continuing Mission is unique in the fact that it is an audio series which was first introduced in 2007 with it’s pilot episode “Ghost Ship”, which had a total listenership in the tens of thousands and many of its episodes featured guest stars that appeared in various episodes of the Star Trek TV and films series. The show is based on the starship Montana, commanded by Capt. Paul Edwards. The Montana is accidentally thrust from the 23rd century into the 24th century, about five years before the time of “Star Trek: The Next Generation”. startrekblog was lucky enough to speak to Co-Creator and Producer Sebastian Prooth and below are a few questions I put to him about this latest fan made project. Hi Sebastian, it’s a pleasure to speak with you, so I guess I shall start by asking; Who is Sebastian Prooth and how did you get started with Star Trek The Continuing Mission? I love developing new characters and situations. Continuing Mission started when I got connected with Andy Tyrer who asked me to direct an episode of a Doctor Who podcast he was producing at the time. We got talking one night and talked ALL night, from about 8am to 3am and talked and a few days later he asked “Why don’t you produce a Star Trek show with me” I answered him immediately with a firm no. 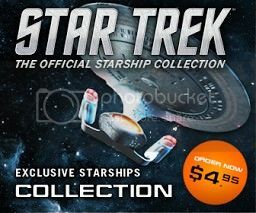 I’m was done with Star Trek, Star Trekked OUT, I’ve had Star Trek in my life since 1990. But he asked that I hear him out and he sent me a word file with a list of episodes, none of which got made mind you save the pilot, and I decided to do it with him. 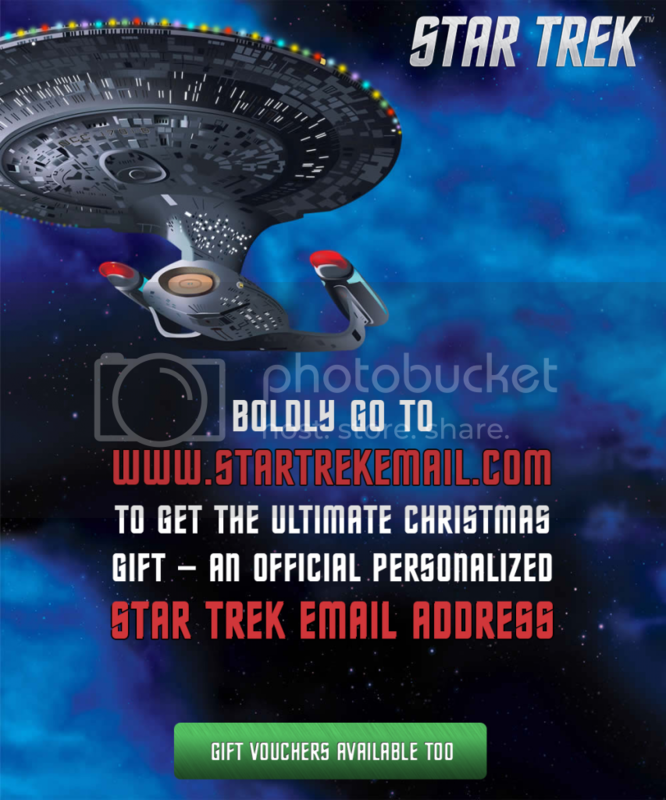 We worked together to cast the show, using websites like Trek Web, built our own website. Andy and I wrote “Ghost Ship” in a weekend and we were off to the races. So where did the idea of your ship, the USS Montana come from and how did you go about making you’re show and setting it between the 23rd and 24th century? The Montana’s name came about because of the fact that in Star Trek: First Contact, everything took place in Montana and it became the birthplace of the Federation. We were researching which ship to use, and were both adamant that it had to be a ship we had never seen before, and came across some fan made ships and ended up using one of those. [The Montana] looks like a Constitution Class with a roll bar, something between the Enterprise and the Reliant. It has around 250 hundred officers and men. It’s a medium cruiser, not as big as the Enterprise but not as small as the Reliant. What I have had is a little trouble with finding past episodes, is there somewhere we can find them? There is now, as of last week our new website is now online. All of the past episodes are available for download, but previous to last week, all episodes had been offline for over a year, and people were downloading them from torrent websites like Pirate Bay! Well that is great as it shows that people are interested in you’re series and are actively looking for it, which leads nicely to my next question…Why have you started this project again, since you’re last episode was in 2011, what’s kicked you into starting this again? The last episode I was involved with was “We control all that you see and hear” which was the finale of season 1. I was presented with a script called “Earth” from the same author and I didn’t want to produce it without major changes, but the other two [Andy Tyrer and Patrick McCray] wanted to do it. I didn’t leave the show, just that episode. But after “Earth” was released nothing else came out, the show just stopped. The episode “Cathedral in the Void” was written, recorded and never produced and sat on a hard drive for years. So most of the background work on you’re new episode was already done? All the audio recording except for two characters had been completed, it just hadn’t been put together yet. A guy called Matthew Blondin from Canada, contacted me on Facebook and said “I love you’re show, what happened to it? I’m an audio engineer can I help you finish it?” So we got on the phone. Not only was Matt an audio engineer who had experience on other audio shows, he was also a web designer, so he was able to come in and build us a website. With his help I got Continuing Mission available again within a week. That’s great, that is what you need, people who are willing to offer themselves to push this project forward. You mentioned that you had a couple of actors that still needed to record their parts, are you using the same people from you’re previous episodes or have you had to re cast for any subsequent episodes? Tim Renshaw, the original actor who played “Captain Edwards” left the series at the end of the first season. We made Scott Martineck, a fantastic actor, previously in a lesser role, Captain Edwards. We have had a few people drop away during the hiatus, but they are being replaced with strong actors. Dr Wilson, originally played by Gabriel Diani, a great actor from Los Angeles was recast with Charles Miller [Sytok from “TCM’s Darkest of Thoughts”] another incredibly talented actor that Patrick [McCray] knows. Are you finding it easy to find this caliber of actor bearing in mind that nobody is being paid? I mean. it’s a labor of love for you, a passion, but for these actors who are looking for paid work at the same time as doing this – this must be difficult? One of the things we did to negate that problem at first was to put out casting calls on Star Trek fan websites, so they were automatically going to be fans of the show, so they would have an interest beyond just needing something for an acting reel. Patrick [McCray] brought in a bunch of his fellow Knoxville, Tennessee actors to fill roles. This was great because he is able to direct them in person and they are people he knows, has acted with before with before he knew they would do have the chops to put out the quality showwe wanted to do. So answering you’re question: Was it hard, surprisingly, no. It was easy. You’d be surprised how large the community of audio actors is on the Internet, whenever you want one there is one. I guess it highlights the Star Trek family! The Star Trek community, one that is so large that you can fall back on for any help. Absolutely, the Star Trek community is made up of very smart, very capable, professional people, who get a bad rap in the popular culture for being kind of unwashed geeks, but this could not be further from the truth. These people are the astronauts, scientists, mathematicians and chemists and all these people have taken a love for Star Trek and channeled it into a money making career. Not only does Star Trek teach them to take an in interest in science and philosophy, but also how to be good people and good friends. I think this dovetails into the fan’s involvement with other fans in the community. We are there for each other and it’s a wonderful thing. One of the things that I am very interested in is the technical side of Star Trek, the visuals, the sound effects etc, so how on earth are you getting the sound effects for you’re show? That is a good question, there’s two different ways we do it. First there are many websites that are dedicated to compiling these sound effects which we went to and pulled the highest quality ones that we could get. Second, we would go onto the DVDs and rip pieces of audio and take it into an audio editing programme and pull files out. There was this one particular sound which always stands out for me which I absolutely love.When the shields are going up or going down on the Reliant, [Wrath of Khan] the sound the dots make, we got that sound. Another one was from the Undiscovered Country they are flying the Enterprise out of Spacedock and Valeris is punching away at buttons to make that happen, at least one of them was in the clear [free of music and other sound FX] and we were able to get that beep which was very unique beep. We were trying to build a sound scape that was unique for Continuing Mission.We have around 500 sounds from warp drive, shields, explosions, sparks flying, and those little sounds that you notice for a moment. That’s what makes the show feel like official Trek. How many new episodes are you planning in the foreseeable future? Now this is where it gets dangerous, because you start making promises! We have a couple of episodes we are coming up with, and a couple of writers we would like to use. My main concern is seeing if there is still an audience for the show. I really want to know that when I put this show out, do I get 500 listeners or do I get 50,000 listeners. Ghost Ship had thousands of people listen to it which was great, but if we only get 500 people listening to “Cathedral In The Void” then I can’t do another one because, why am I doing it? So we are going to wait to see how it does. We have some exciting ideas about how we may do two or three more episodes. Maybe the Cardassians will show up…who knows. You’ll have to wait and see! I was going to leave this question for last, but now seems more appropriate. With all the other fan made series being produced at the moment, Star Trek Phase 2, Star Trek Continues etc, which are very popular,they all have great visuals, sets, visual effects, sound effects and so on, how will you compete against that being an audio only series? I’ve always felt that Continuing Mission stands apart from other productions. Obviously, I am biased, but I feel that way because we do the best we can to cast the best actors, use the clearest most accurate sound effects, get the highest quality and most relevant music, and we put them in the right places. If you close your eyes you could be watching Star Trek. Rather than something that has a couple of incidental sounds to help you know where you are, I want it to be a complete immersive experience, so that if you have your headphones on, you are in that universe. It’s really important to me to deliver something you would go out and buy. In some of you’re previous episodes, you have had guest appearances by actors who have appeared in various incarnations of Star Trek on TV, are you getting these guys back on board? I would like to. We were talking about doing a Section 31 episode where we would discuss the origins of Dr Wilson’s section 31 thing, he’s a real odd cat, if you listen to the show you never quite know if he’s trying to help you or hurt you. Iam thinking of approaching William Sadler (Luthor Sloane in DS9) to appear on the show. I do have designs to get other people on the show, maybe bigger names than we have had before. I would love to try to get Walter Keonig (Chekov) to be on the show or Michael Dorn (Worf). So what are you’re thoughts on a new TV series? Will there ever be a new series? They need to ask Ronald D Moore what his ideas would be, working with some people like Bryan Singer and other “new blood” that could reinvigorate the franchise. We have already had the Enterprise again (TNG), We’ve had a space station and a war (DS9), we’ve had lost in space with (VOY) and a prequel (ENT) so what’s next? We have to keep moving forward and there are very few stories that haven’t been told after 700+ hours of TV and Movies. What I’m concerned about is saturation. During the 90’s there was a time period where two shows overlapped. The last few seasons of TNG with the beginning of DS9, the end of DS9 with Voyager, the end of Voyager with Enterprise, with 3 movies coming out at the same times as the series were on air, and by Nemesis they weren’t making any money. A movie’s whole purpose is to make money, so I am concerned they would do 5 episodes, they wouldn’t do as well as they wanted in the ratings, and they would kill it and Star Trek would be really dead. The show is for Misfits Audio. They do a lot of online audio podcast shows. We have just started the process and I’m really excited about the prospect of doing a pirate show. I am working with a really talented writer called Ruby Fink. Everything starts with the writing and I’m really excited about where this story is going. The show is about a young and somewhat upper-class girl who ends up becoming the Captain of a pirate ship, The Conquest. It’s an action adventure series that will feature everything we have come to expect from that universe. Sea monsters and other mythical creatures, sword fighting, cannons, flint-lock guns…oh it’s going to be awesome! I hope you’re readers check it out in a couple of months.